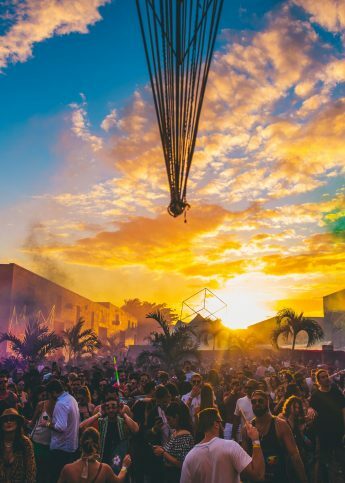 What went down in Miami. While we’re all clutching lattes and whipping out dusty copies of Love Actually, the sun has been shining on Miami and a selection of Fendi’s closest friends, who’ve come together this week to celebrate two important anniversaries in the Fendi Calendar: 10 years of working with global design forum Design Miami, and the birthday of Fendi’s iconic Peekaboo bag. To mark the occasion, Fendi has teamed up with designer Sabine Marcelis – known for her work with sensory art and installations – to create “The Shapes of Water”, a series of ten fountains dedicated to iconic symbols affiliated with the Roman house. The project emphasises the importance of quality materials and craftsmanship, as well as the centrality of water as a design tool in the city of Rome. Marcelis has also created a podium display for a limited edition series of Fendi’s Peekaboo bag, also celebrating its 10th anniversary this year. A range of designers including Chris Wolston, Kiichiro Ogawa, Oscar Wang and Korean Yang Tae O have put their own mark on the iconic design, customising a white canvas version by the equally iconic Silvia Venturini Fendi. (LEFT) Silvia Venturini Fendi with Sabine Marcelis (RIGHT) Sabine Marcelis. Silvia Venturini Fendi with Sabine Marcelis Sabine Marcelis. (LEFT) Sabine Marcelis (RIGHT) Silvia Venturini Fendi. Sabine Marcelis Silvia Venturini Fendi. 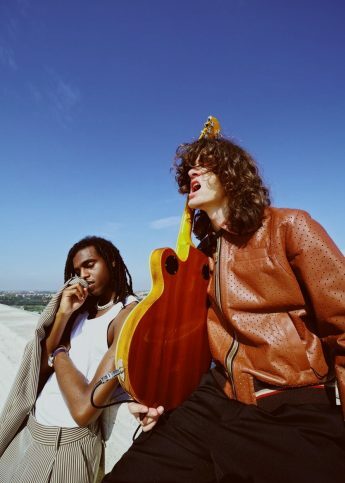 Bakar and Jack Laver join F is for... Fendi for a rooftop performance in Rome.